Arthur Hill's 3 Step Setup — s.c.a.n. Art said this would be an easy scan to setup but didn't include the scan in the webinar. Here is what I have for the scan. Scans return results for further inspection. You may want to add global filters at top like [type=stock], country, and volume filters. To understand: The third clause reads as Stoch RSI(10) crosses the 0.95 line. It is not a multiplier, correct? @quikcoin yes that is correct. The x operator means "crosses above". Thus, in this case, the computed value of Stoch RSI(10) has crossed above the value of 0.95. 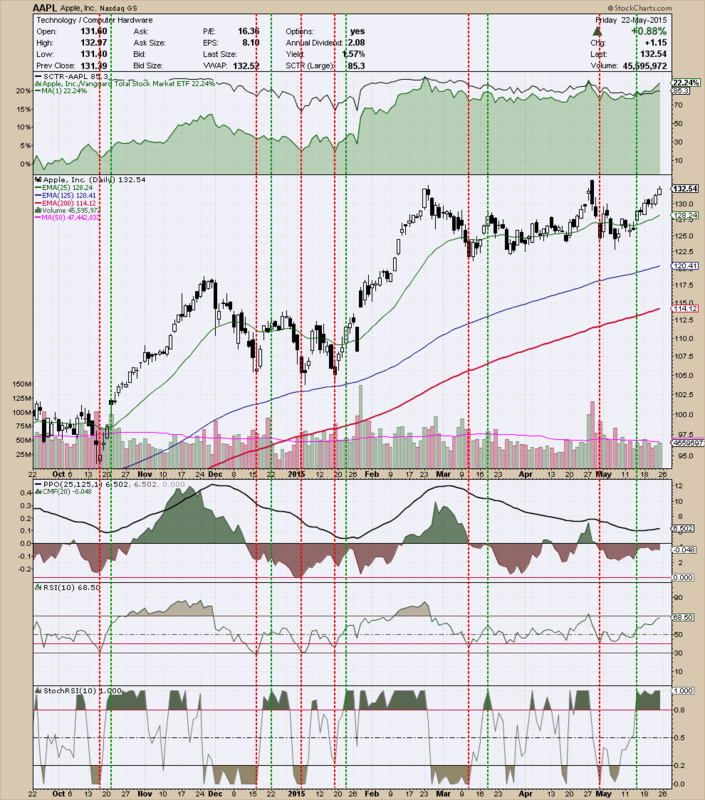 From the Apple chart above you can see how the setup and trigger work. The RSI 10 doesn't have to be below 40 as a condition for the trigger. Don't know if there is a way to make the scan more effective based on the conditions. The scan doesn't get to many results - which may be just the overall market condition at this time.